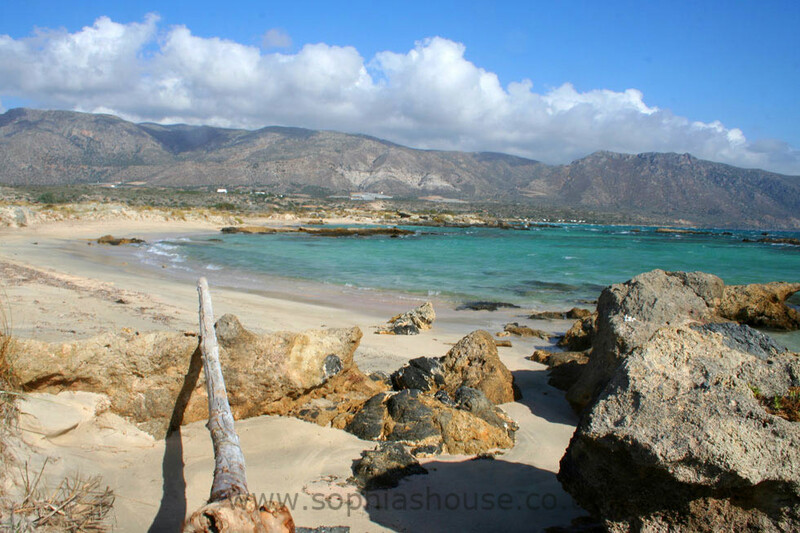 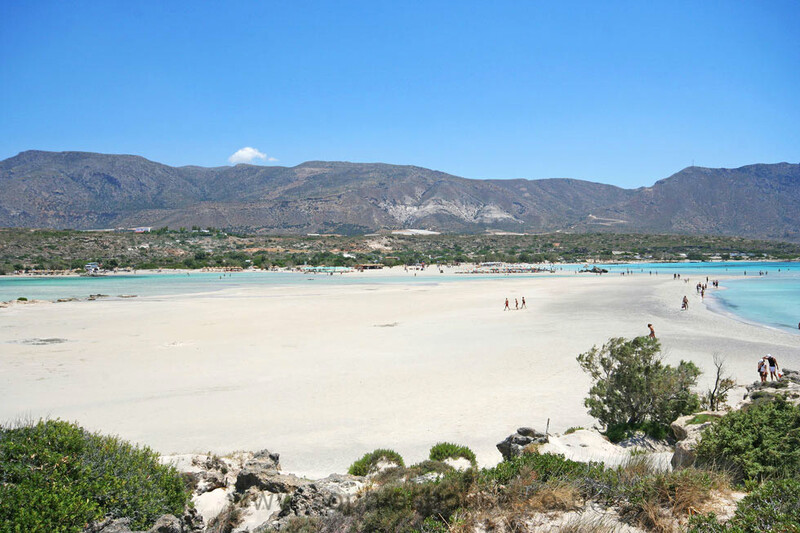 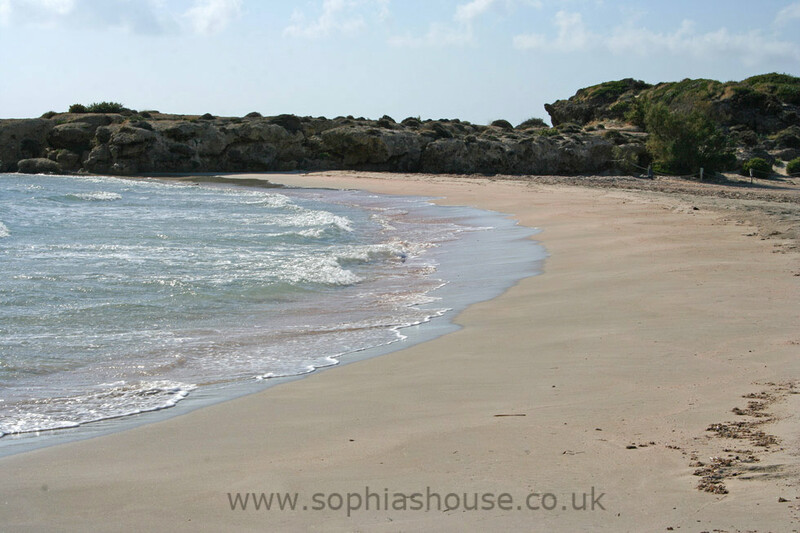 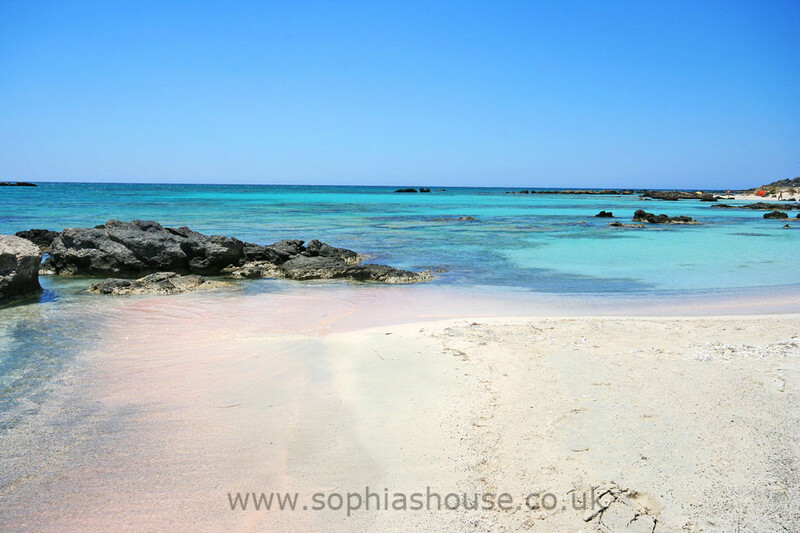 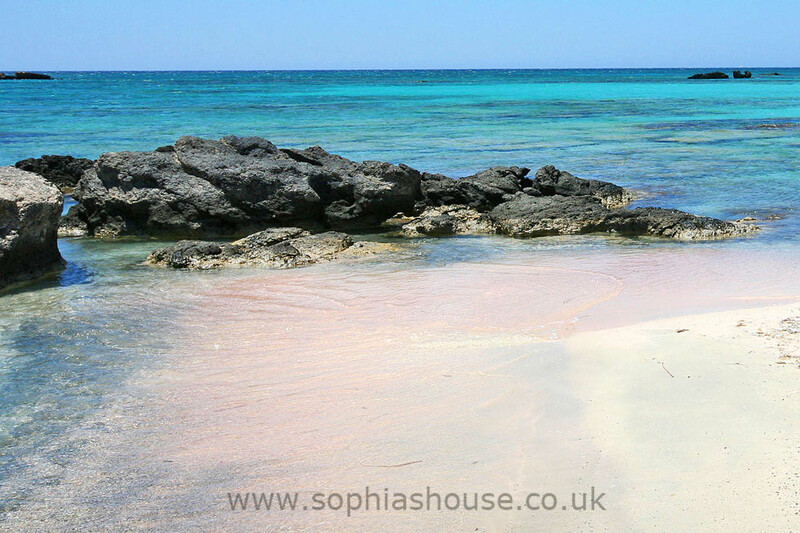 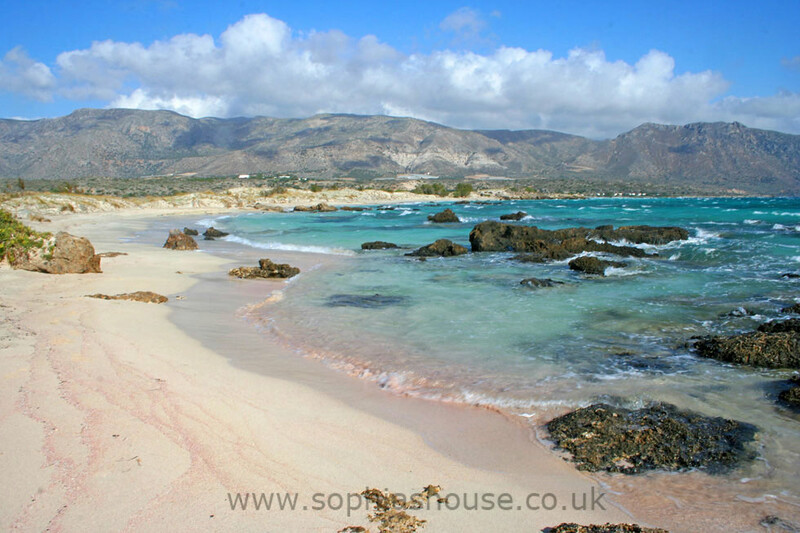 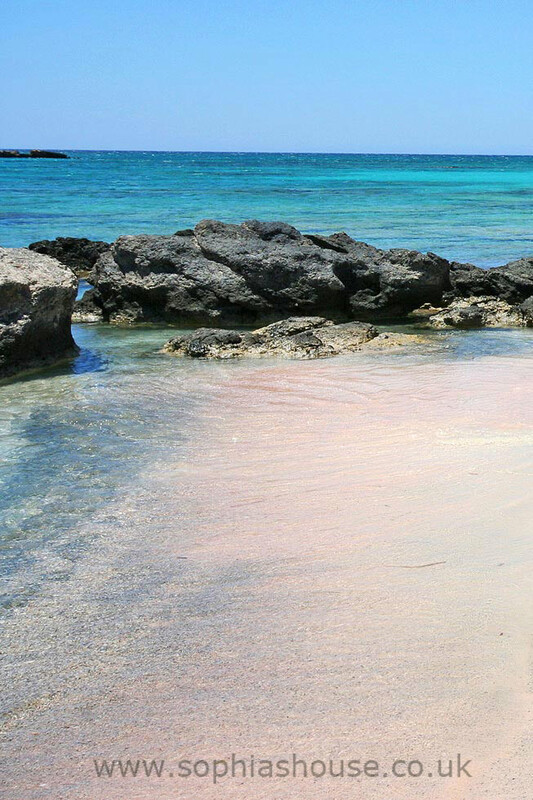 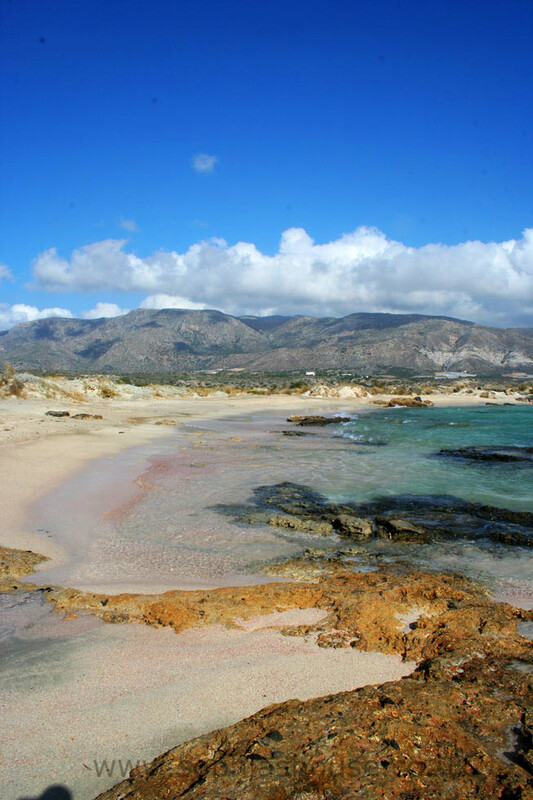 The island and beaches of Elafonissi are at the southeast tip of Crete, The area and its beaches are among the most beautiful in Crete. 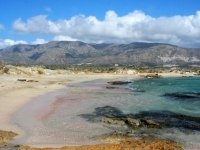 This natural park is reached from the city of Chania in about one hour and a half (75 km) The journey crosses the island north to south, passing through beautiful villages and the Impressive Topolia Gorge and tunnel, Stop on the way at the cave of Sophia, A grand chamber with stalactite and stalagmite formations, also the little chapel to St Sophia in the cave, and for the superstitious it is said to be lucky to ring the bell when you enter the cave. 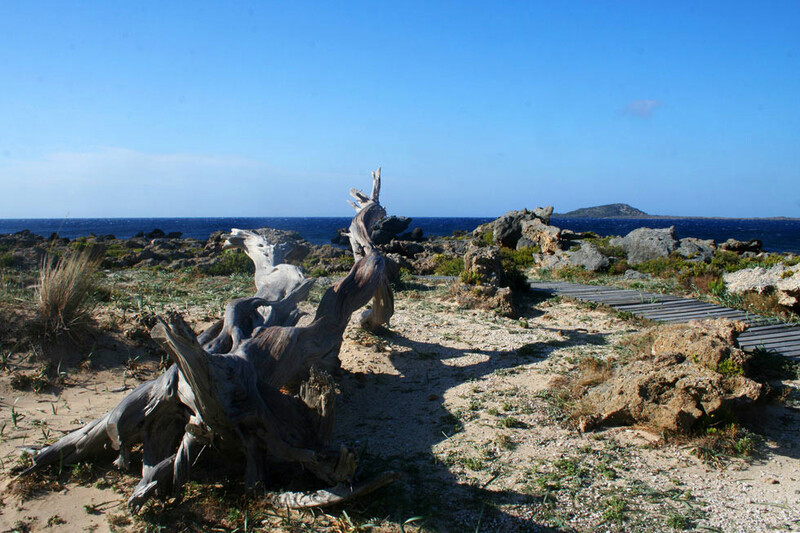 To get to Ellafonissi follow the road to Vathi, and continue south to the coast, at the Crysoskalitissa Convent, Follow the dirt track road from Chrisoskalitissa, as it continues for 5km to Ellafonissi island and beach. 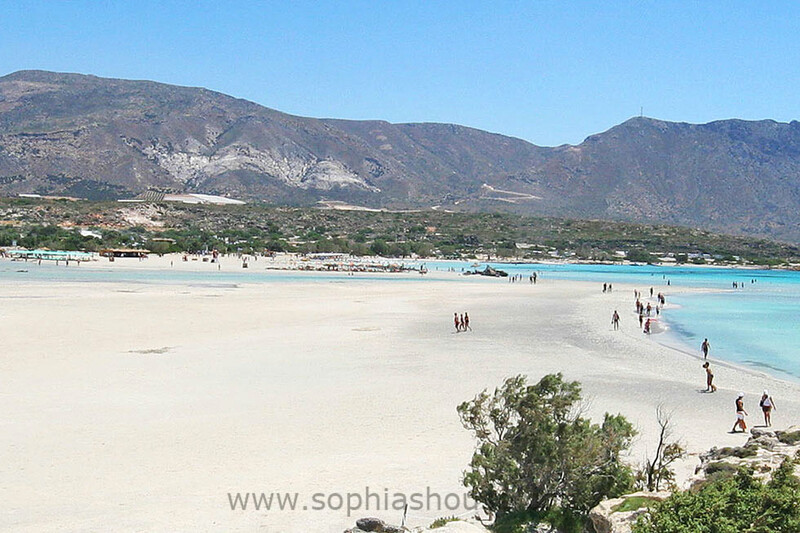 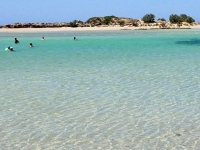 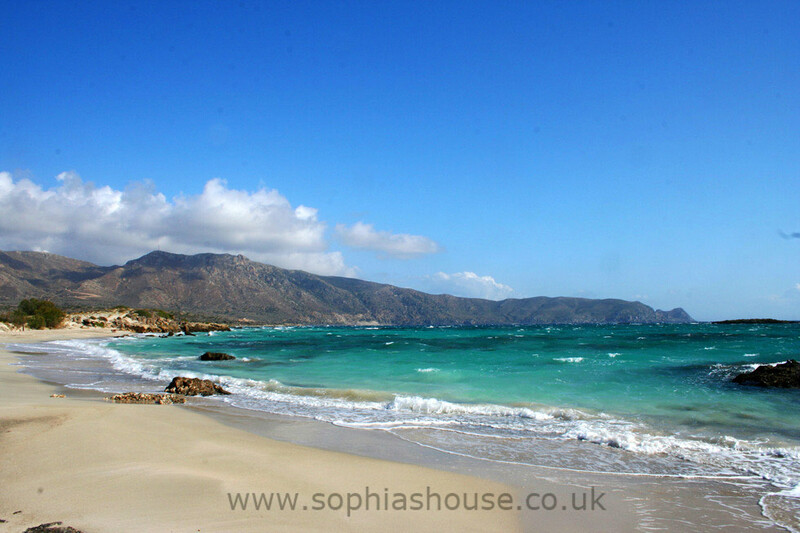 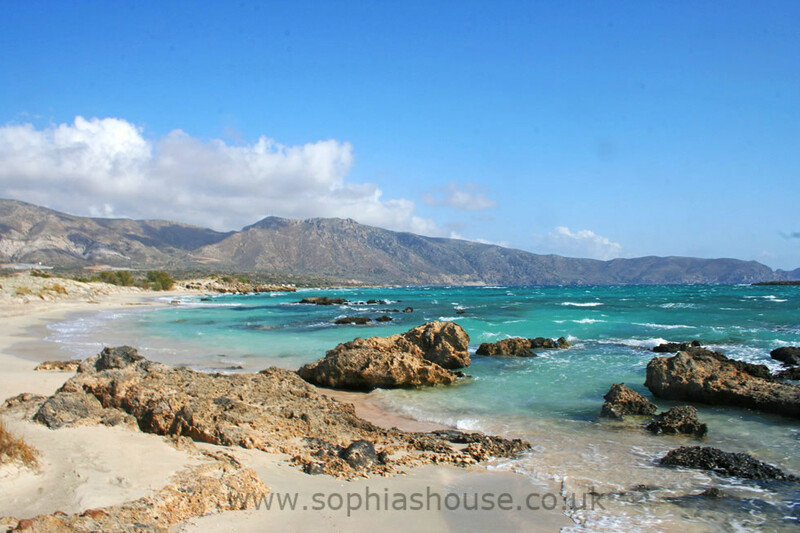 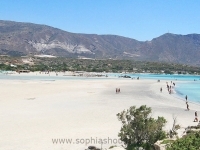 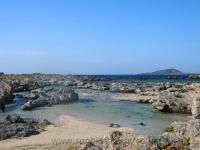 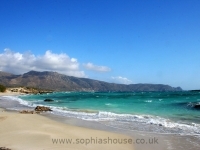 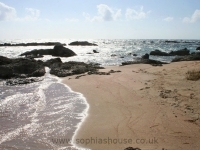 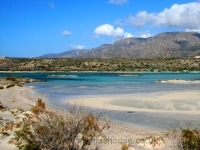 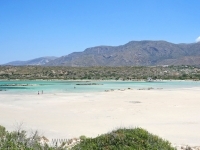 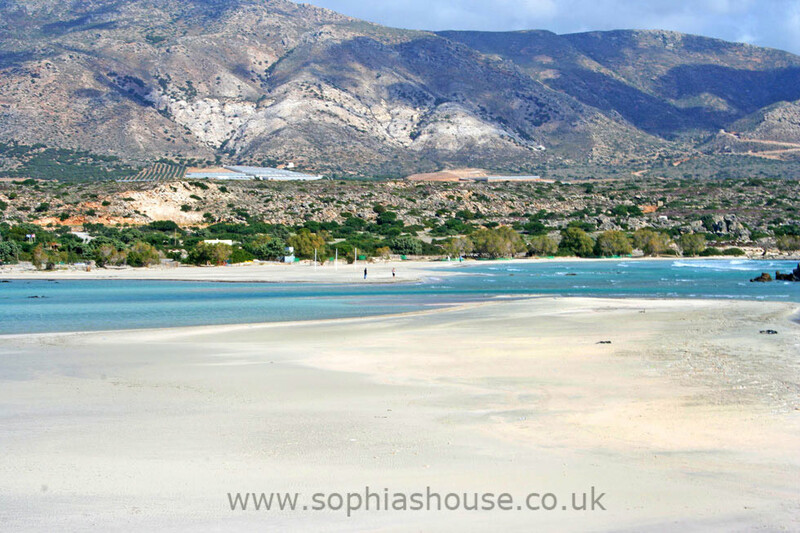 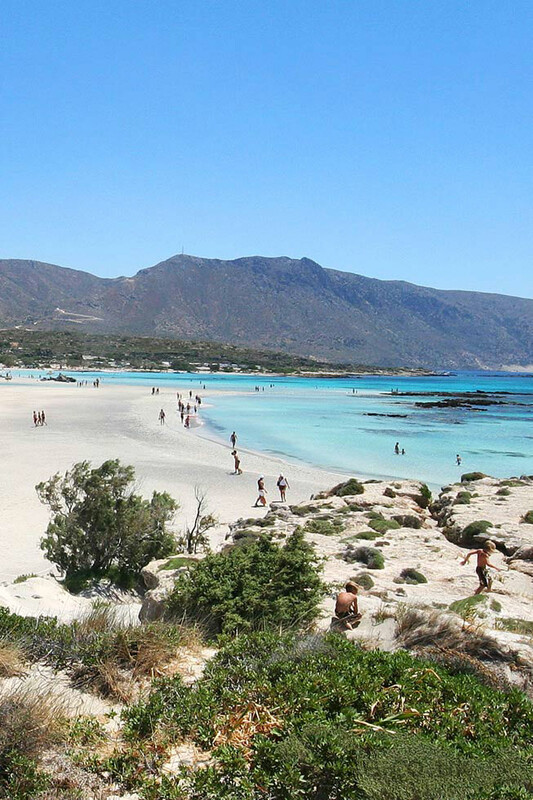 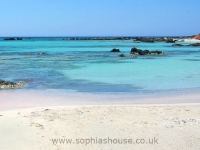 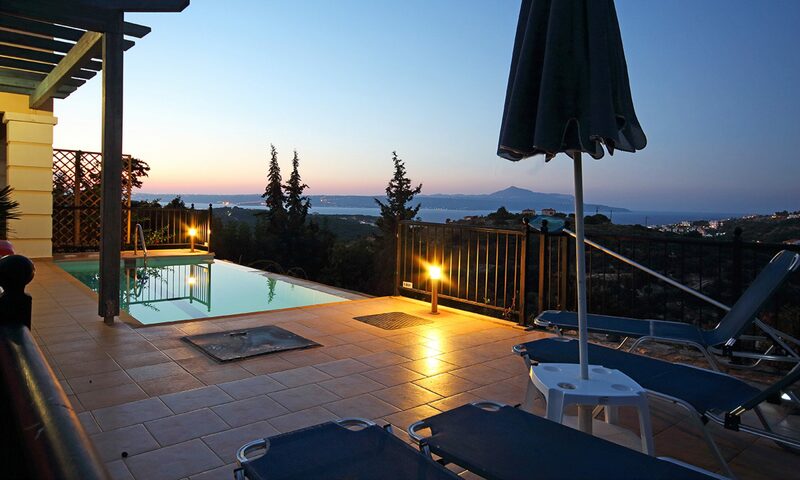 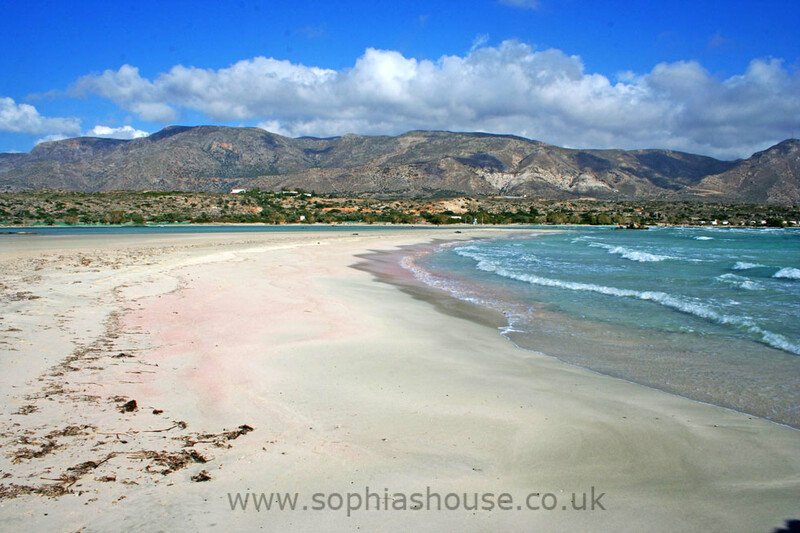 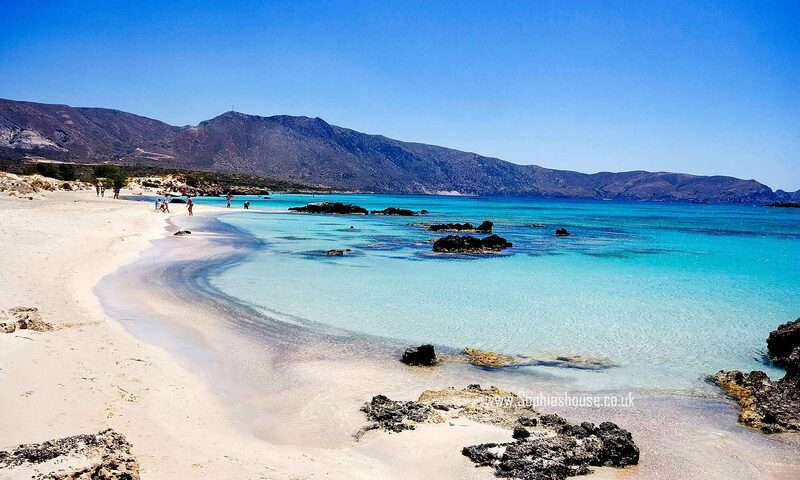 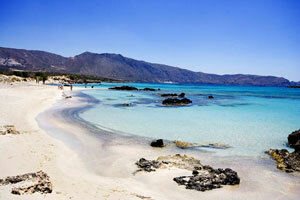 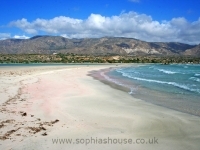 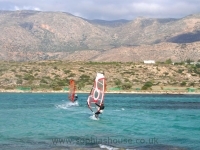 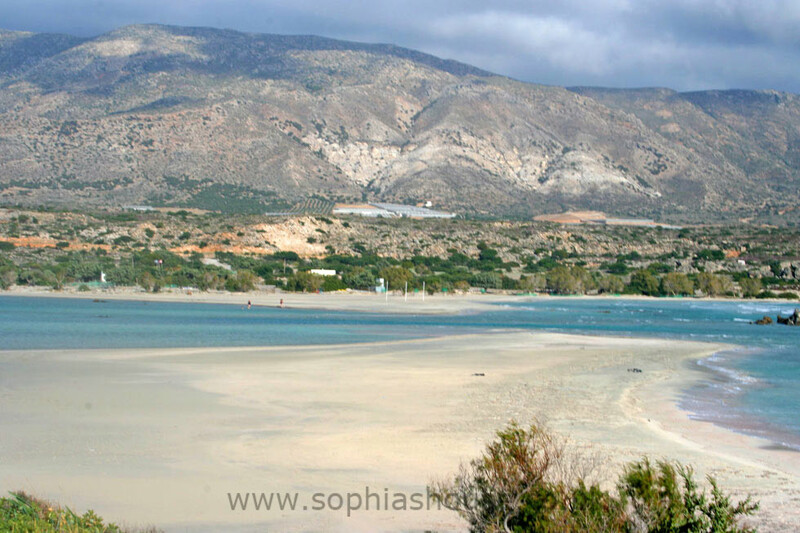 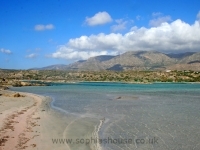 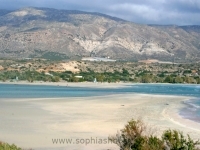 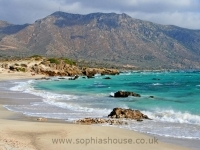 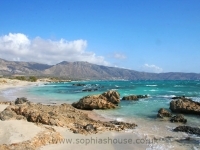 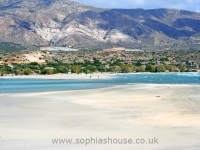 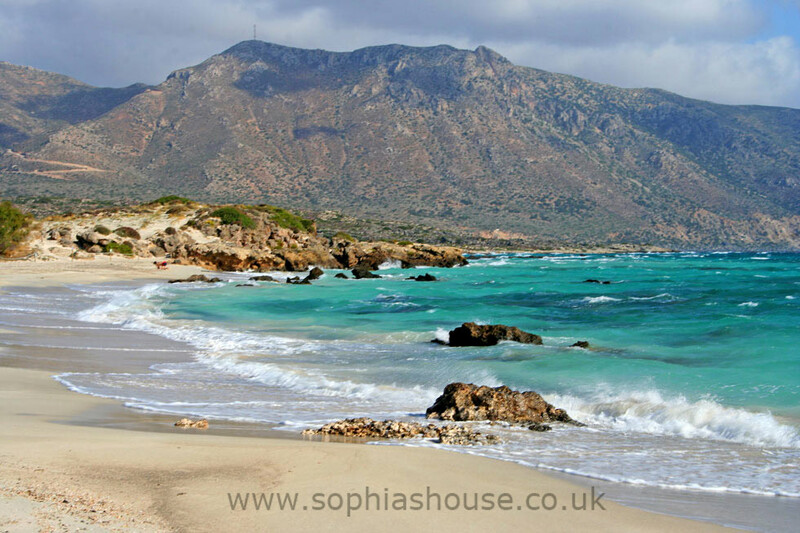 Organised bus trips run from Kastelli and Chania and boat trips that leave from Paleochora to Ellafonissi. 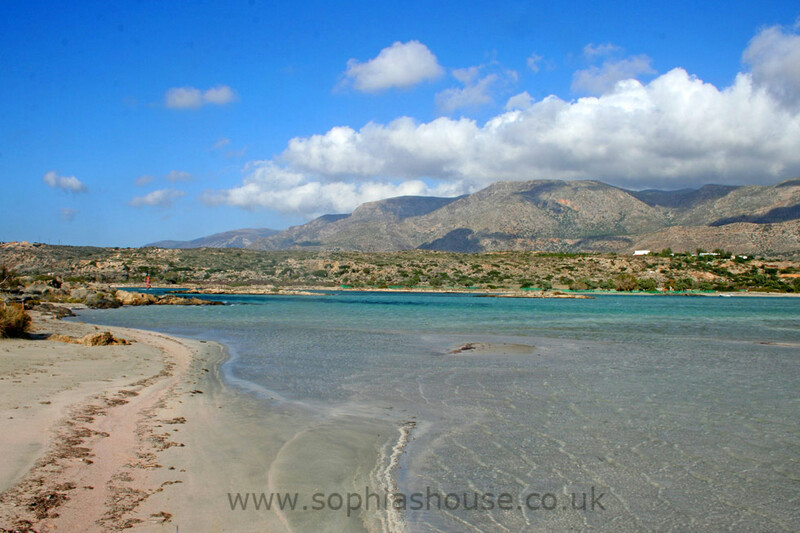 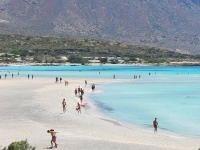 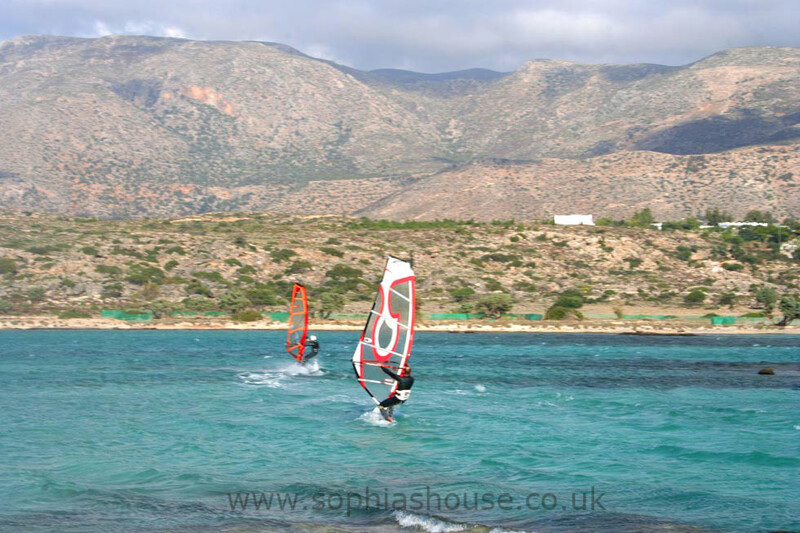 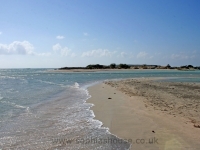 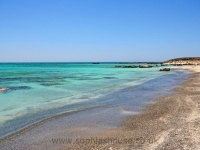 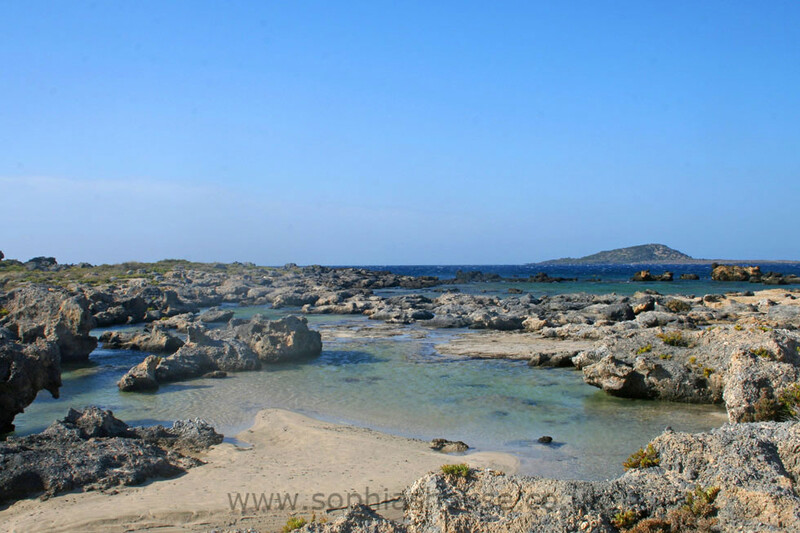 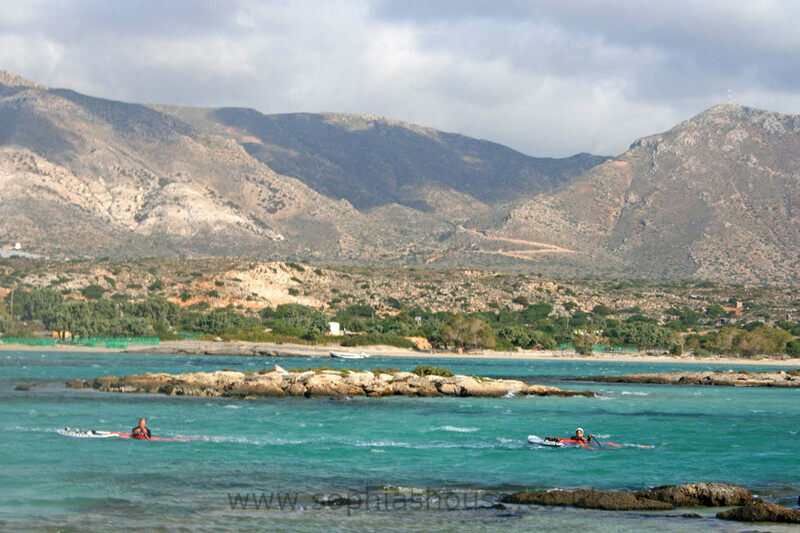 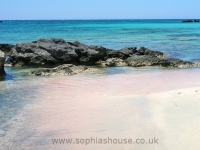 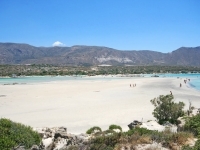 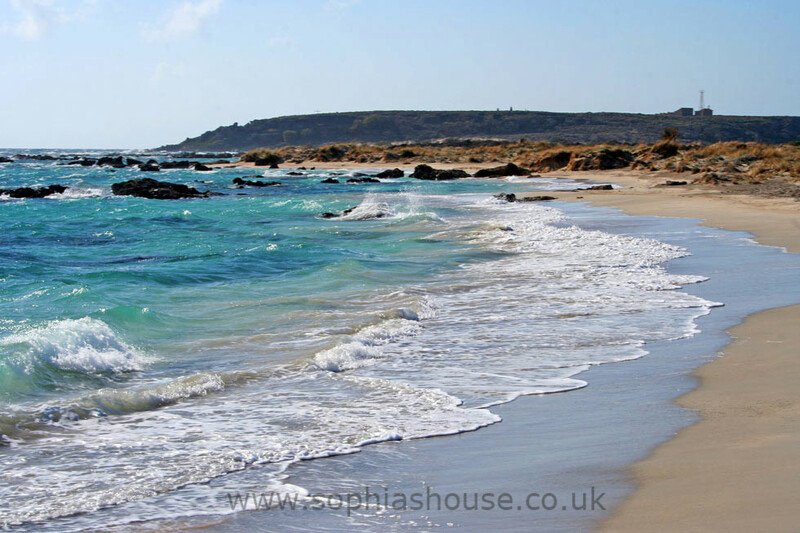 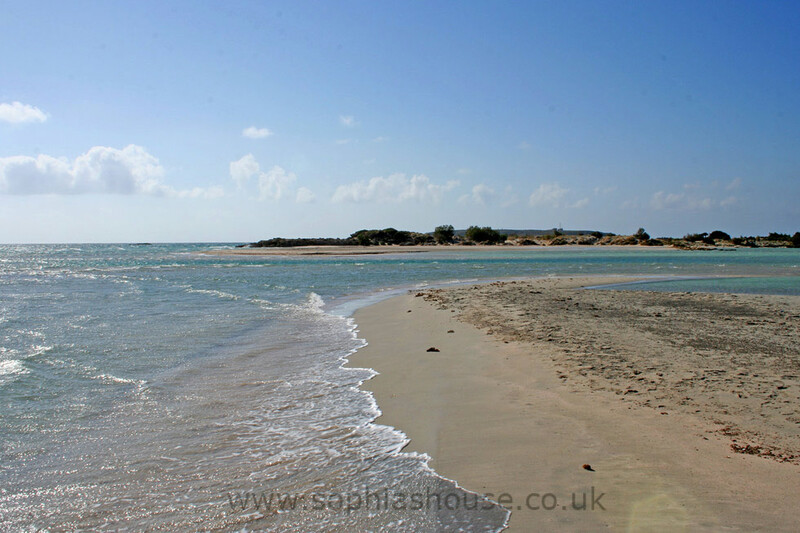 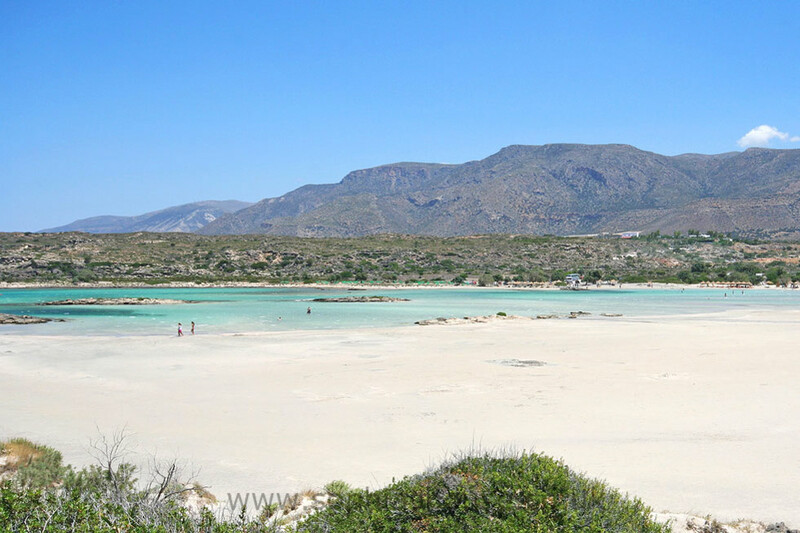 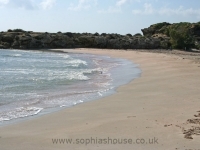 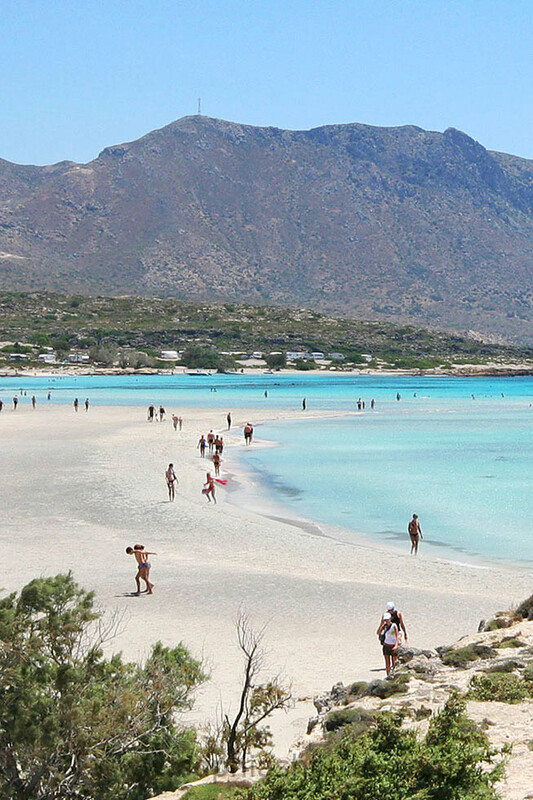 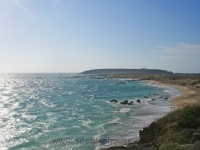 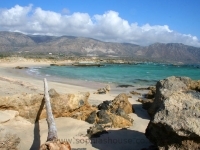 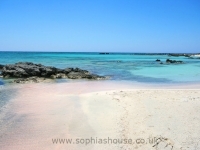 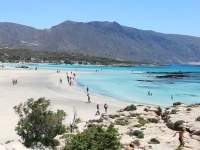 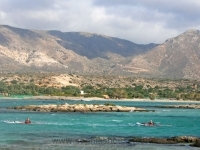 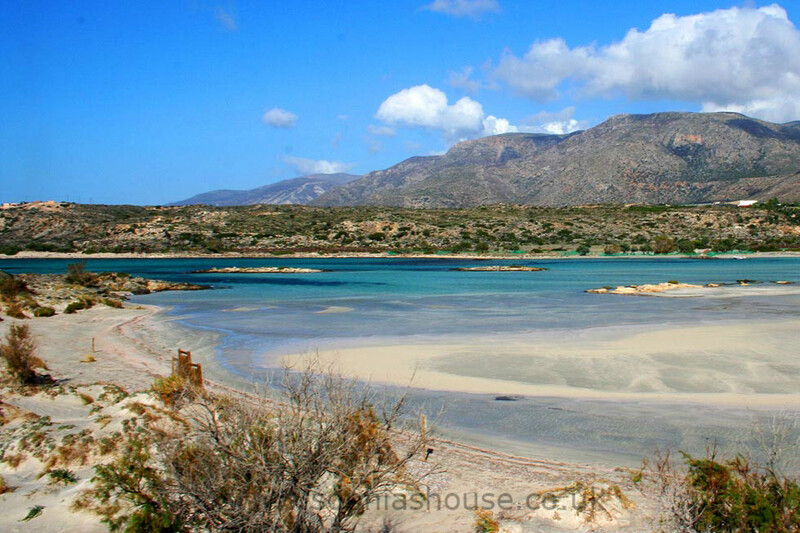 The island of Ellafonissi is connected to mainland Crete by a shallow reef about 800 metres long, it is quite easy to cross when the weather is calm. 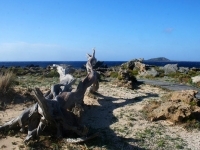 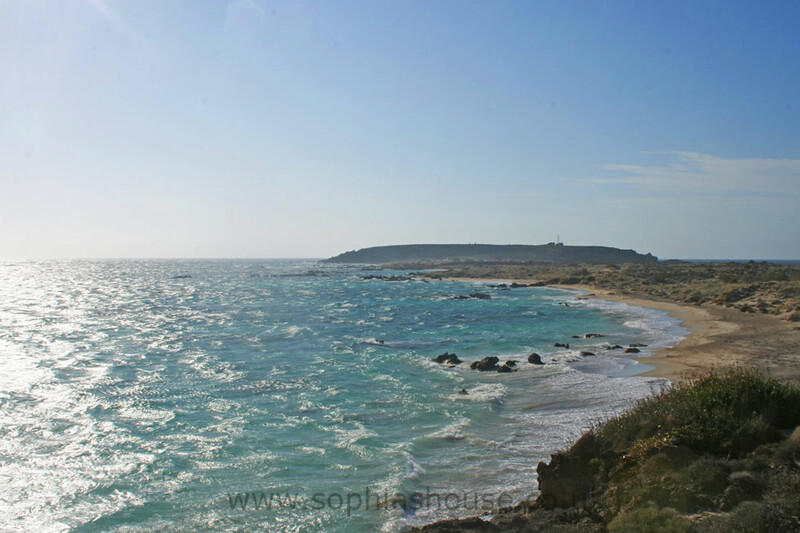 Elafonissi was the place where the Turks massacred about 850 women and children in 1824. 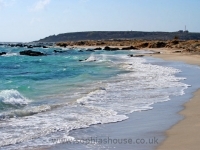 They were hiding on the island at Ellafonissi, and as the Turks camped on the beach they found the path to the island under the shallow waters. 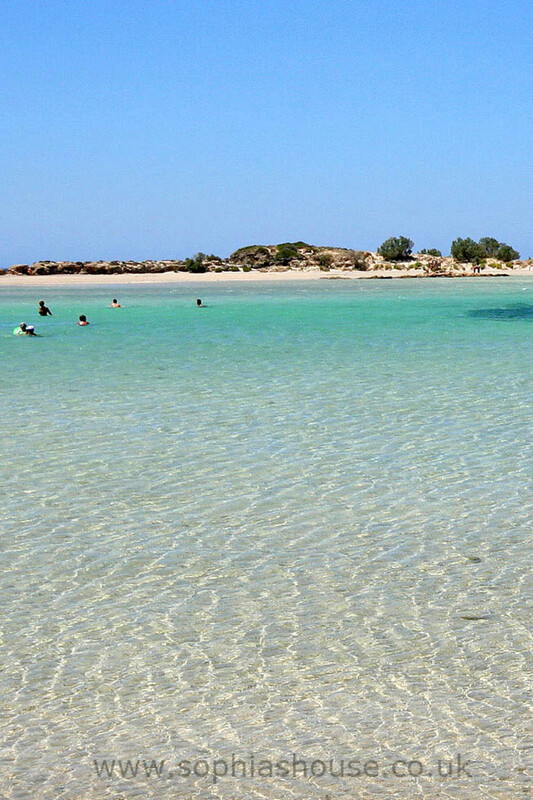 When The Turks discovered the women and children they slaughtered them. 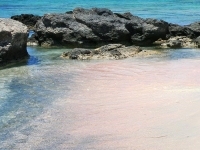 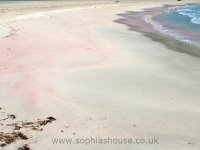 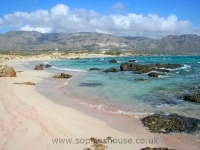 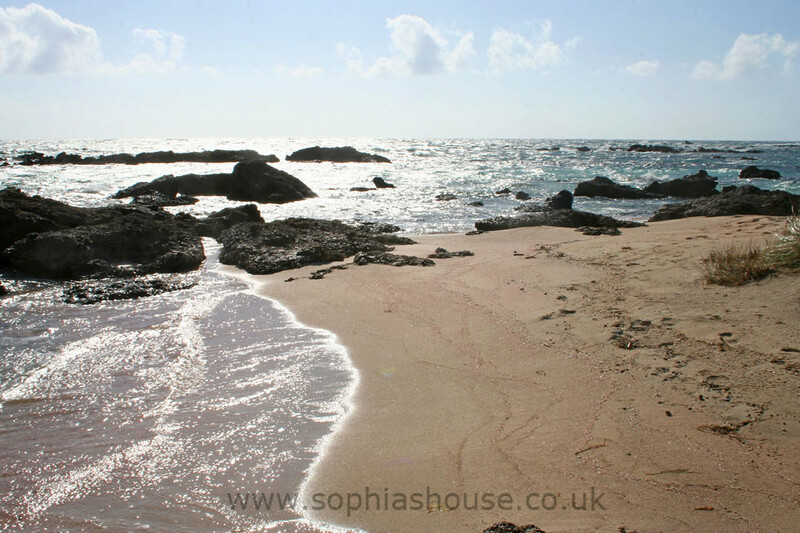 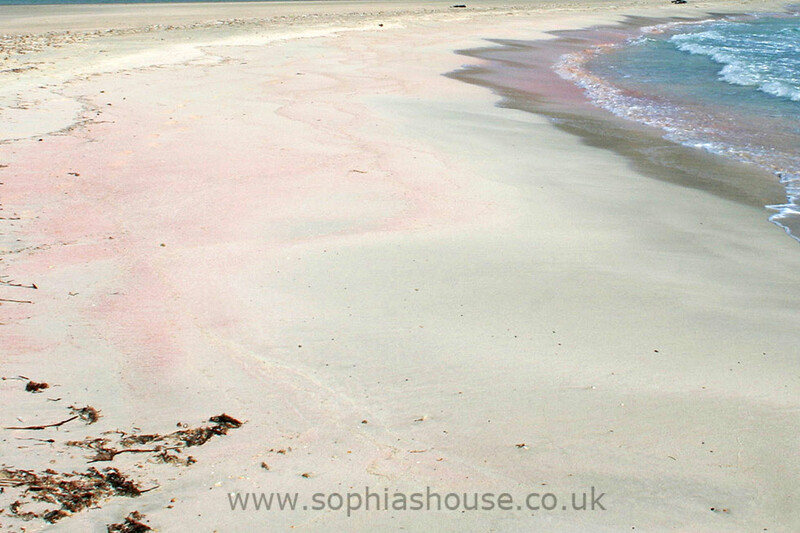 The red sand at the waters edge is said to represent the blood of these poor souls, there is a plaque situated at the highest point of the island, dedicated to their memory.